During the holidays, Christmas cocktail recipes can be a great alternative to the traditional tastes of wine and beer that may often be found throughout the rest of the year. 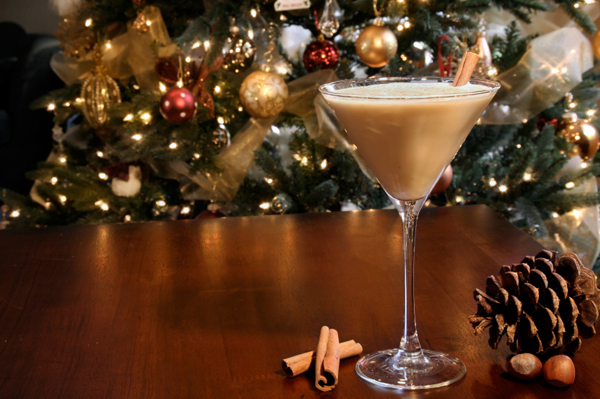 That’s why this Sugar Cookie Martini is next up as one of the best Christmas alcoholic drinks. What really makes this Christmas cocktail a holiday delight is that it contains many of the tastes and flavors of the winter holidays. There’s little wrong to be done when you combine Irish cream, vanilla, sugar cookie and butterscotch. These flavors, combined with a beautiful creamy color and taste, make this Sugar Cookie Martini a major holiday success, earning its place as one of the top alcoholic Christmas drinks. Take a chilled martini glass and coat the rim with water. Next, dip it into the sugar cookie to garnish. In a cocktail shaker, combine the rest of your ingredients and shake vigorously for twenty seconds. Strain into the glass and garnish with cinnamon, nutmeg or chocolate shavings.